Democrats’ takeover of the U.S. House on Nov. 6 means that environmental issues will come to the fore, but that does not mean policies coming out of Washington, D.C., will be any greener. That is because climate change skeptics will still be in charge of the White House and the U.S. Senate where they will present roadblocks to environmental initiatives. That assessment of post-election environmental politics came from Professor Amanda Rosen, who teaches political science at Webster University. 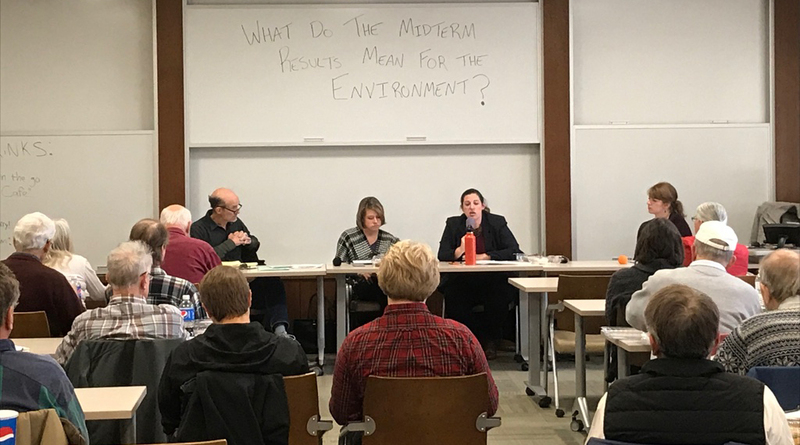 She was on a panel entitled “What did the Nov. 6 Election Mean for the Environment?” at the university on Nov. 14. Other panelists included newly-elected St. Louis County Councilwoman Lisa Clancy and Missouri Sierra Club Director John Hickey. Clancy said that most environmental progress is going to take place at the local level, not in Jefferson City or Washington, D.C., which remain in control by politicians who are hostile to most environmental initiatives. Locally, the City of St. Louis has resolved to become a city powered by renewable energy and St. Louis County voters passed a measure on Nov. 6 to protect their parks and to prevent them from being sold without voter approval. How Will The Midterm Elections Impact The Environment? 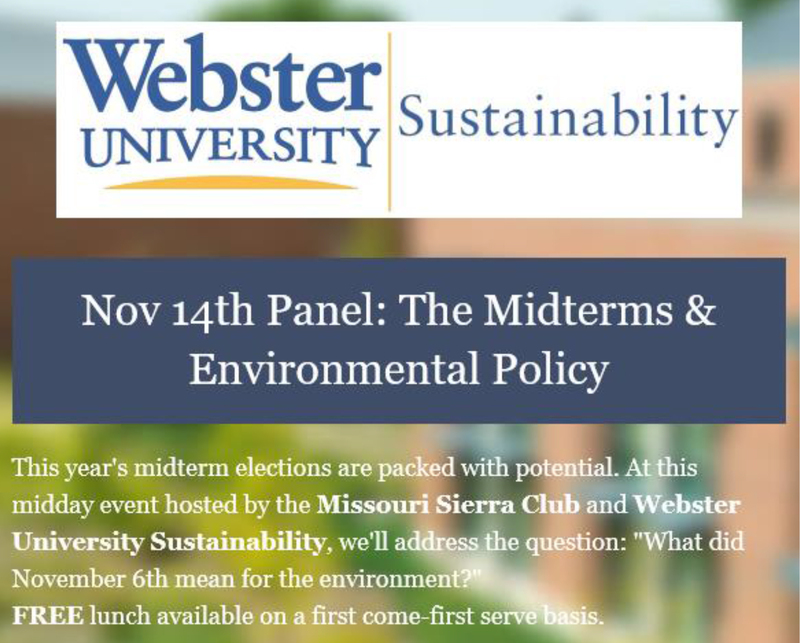 Webster University and the Sierra Club Missouri Chapter will host a panel discussion about how this year’s midterm elections will effect the environment. The event will be held Wednesday, November 14, 2018, starting at noon. For a list of speakers, lunch details, parking information and how to register for the event please click read more below. 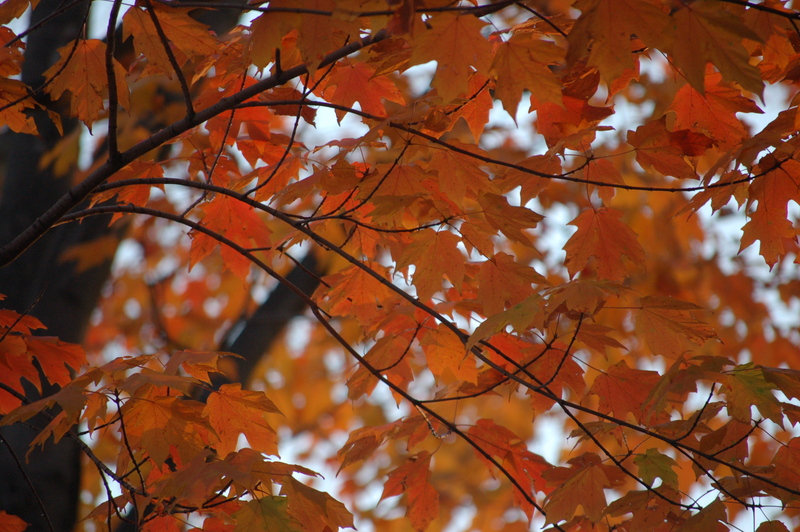 The Missouri Botanical Garden released information about a new event and it’s just in time for Autumn – Tree Week! Check out the release below for more about the event. The Missouri Botanical Garden is celebrating its colorful canopy at the peak of fall foliage season. Tree Week is a new campaign offering visitors the chance to learn more about the Garden’s impressive tree collection, and the staff who care for it, all while soaking in the bright red, yellow and orange hues overhead. Friday Night Live: Super Villains or Super Heroes is a special evening event for the whole family from 6–9:30 p.m. Oct. 19 at Powder Valley Conservation Nature Center in Kirkwood. Visitors will learn about spiders from “Charlotte’s: Web” characters on the nature center’s Tanglevine Trail. The Missouri Department of Conservation (MDC) released information about a family fun event happening at the Powder Valley Nature Center. Kids and adults alike can learn about nature in a fun outdoor setting all provided FREE to families to enjoy. Missouri and its citizens are lucky to have the MDC – Is it any wonder other states look to us and our conservation efforts as a blueprint to follow for success! Bring your family and take advantage of what great things the MDC has to offer for everyone no matter how they enjoy our great outdoors! Find more information below about the Powder Valley Nature Center’s event form the MDC. Take a minute to look and you might find that nature provides sagas of heroes and villains every day that could rival the drama in Hollywood’s biggest blockbusters. The MDC is drawing up the curtain to reveal these dramas at a free event Friday, Oct. 19 at Powder Valley Conservation Nature Center in Kirkwood. “Friday Night Live: Super-Villains or Superheroes” is a special evening event for the entire family from 6–9:30 p.m.
Forest ReLeaf is celebrating our 25th Anniversary! 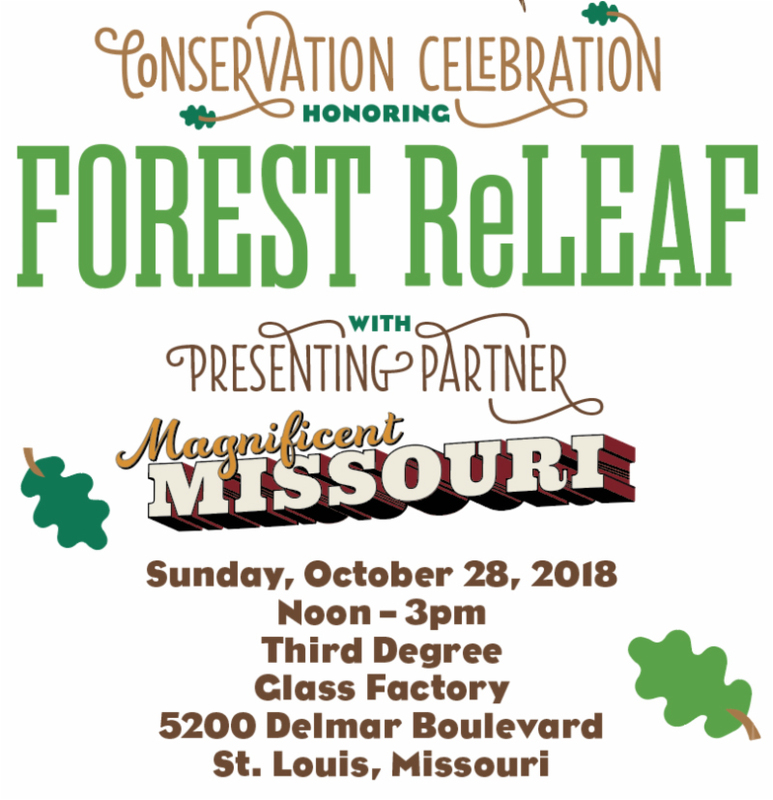 The Conservation Celebration, in partnership with Magnificent Missouri, honoring Forest ReLeaf on Sunday, October 28 from noon to 3pm at Third Degree Glass Factory. The event will feature Pappy’s BBQ, complimentary beer and wine, live music, glass blowing demonstrations and much more. For tickets and more information about the FOREST ReLEAF event CLICK HERE. Want To Meet The Acclaimed “Mushroom Man?” Here’s Your Chance! One the world’s foremost mushroom hunters is Taylor Lockwood and the Missouri Department of Conservation (MDC) is bringing him to Powder Valley Nature Center in Kirkwood, Mo. Lockwood has traveled the world photographing mushrooms and fungi and his photos are said to be extraordinary. One of his images was even chosen for a US Postal stamp! The special presentation by Lockwood will be Tuesday, Sept. 11, at 6 p.m. The program is titled My Great Adventure: The Most Beautiful Mushrooms in the World by Taylor Lockwood. Lockwood will share highlights of his odysseys with photos and animations of fungi and mushrooms, from the beautiful to the bioluminescent. The program is free, but advanced online registration is required at https://tinyurl.com/y83nx5w4. 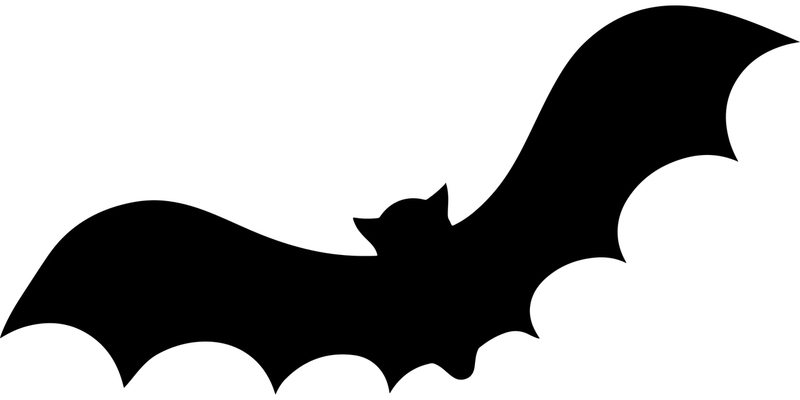 Missouri State Parks has released information about the Batty about Bats event. Bats are an important part of the eco-system and learning about their contributions to our environment is a great way to help protect them. Echo Bluff State Park is a family fun and outdoor destination area. 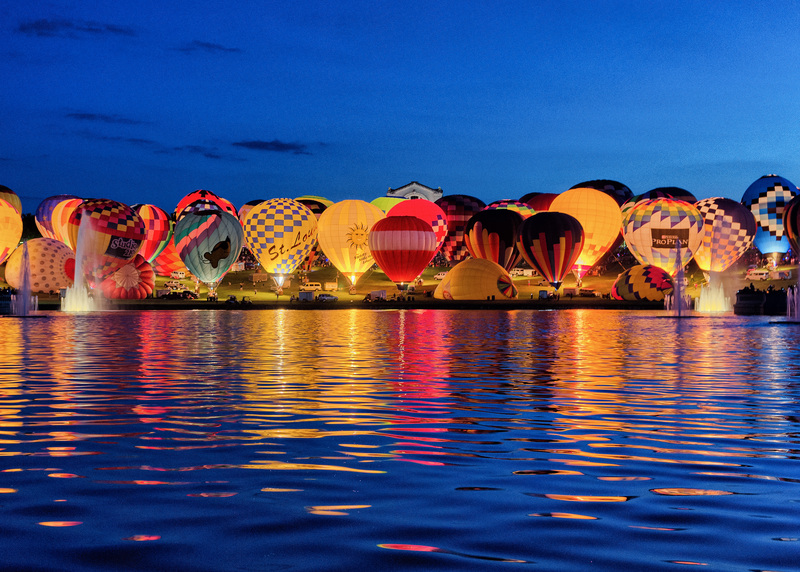 The park offers camping, lodge and cabin accommodations, restaurants and an array of outdoor activities. Find links at the end of this post for Echo Bluffs State Park and its offerings. 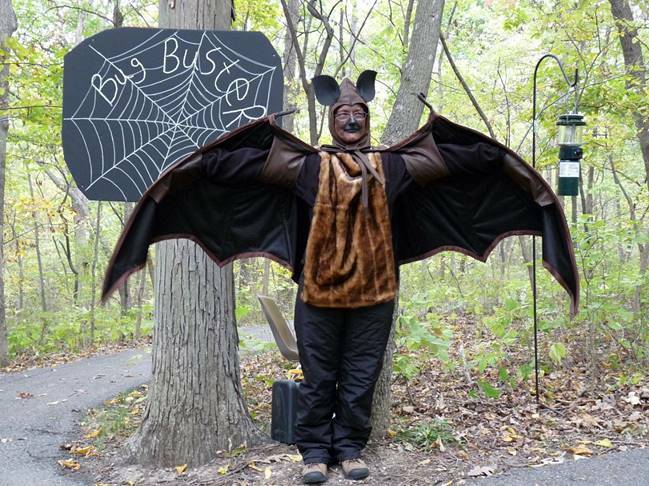 Find information from the Missouri State Parks Batty about Bats event below. 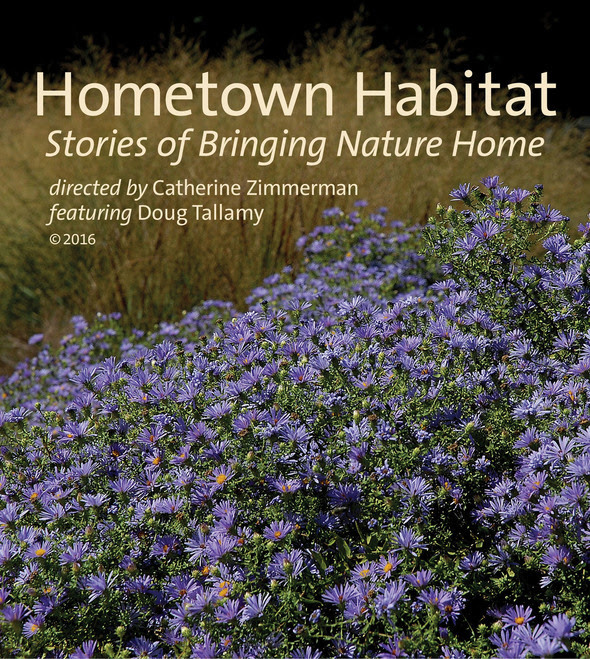 The Missouri Department of Conservation and partners invite the public to a free screening of the documentary film Hometown Habitat: Stories of Bringing Nature Home, Thursday, Aug. 30 at St. Charles Community College. 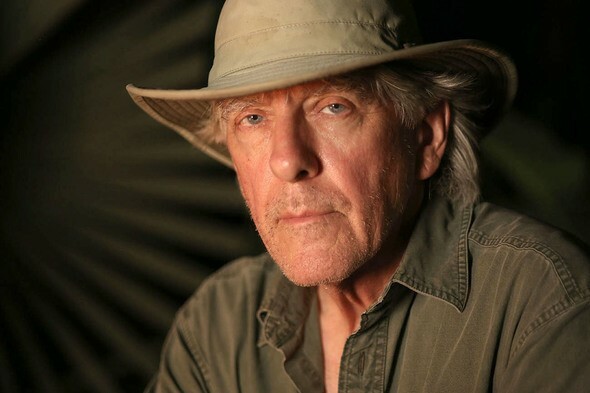 In the film, renowned entomologist, author, and native plant expert Dr. Doug Tallamy narrates inspiring, true stories that show how everyday “heroes” can help restore nature one garden at a time. Register HERE.